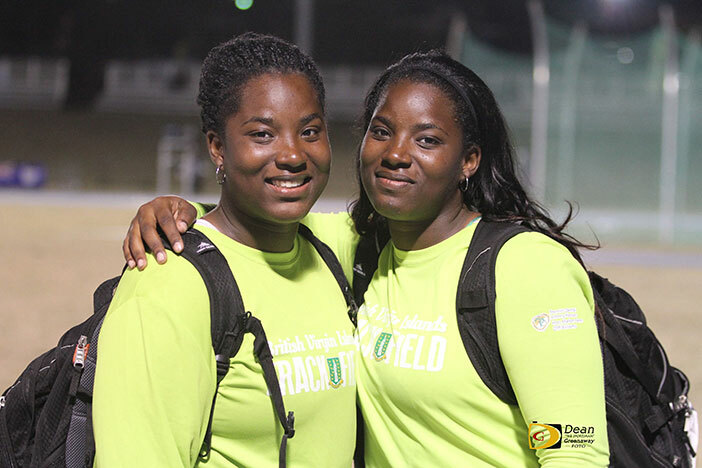 Rikkoi Bratwaithe taced to a sprint double in Indiana and five other athletes won in Michigan, South Dakota, Alabama and Boston respectively, during weekend indoor track and field competitions, that saw the Shot Put national record falling in the process. Bratwaithe won a sprint double at the Indiana Hoosier Hills Invitational. The Hoosiers redshirt freshman won the 60m dash in 6.82 seconds, after he also took his heat in 6.89. 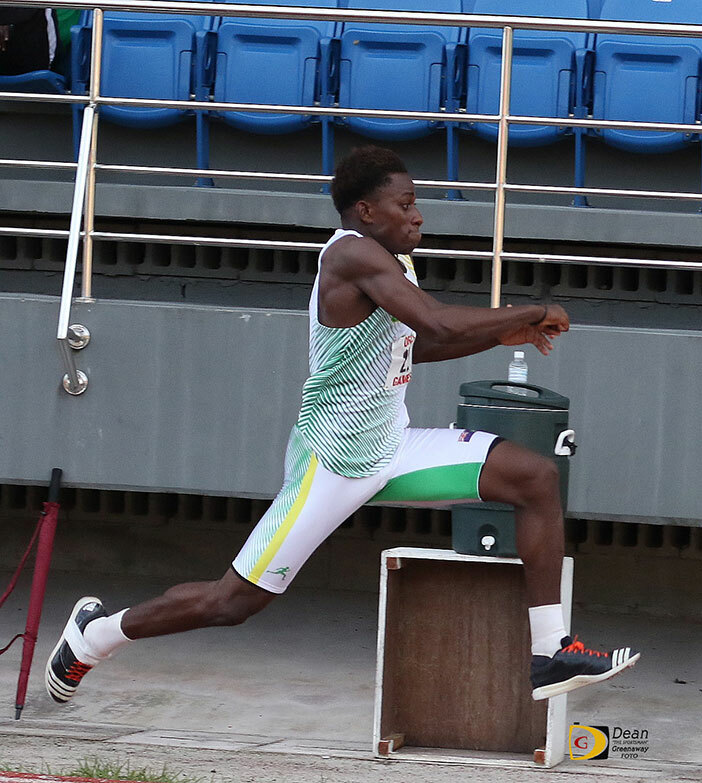 He returned later in the competition to claim the 200m with an indoor personal best of 21.88 seconds. In Michigan, twin sisters Trevia and Tynelle Gumbs, competing at the Grand Valley State University Big Meet in Allendale, won the Shot Put and Weight Throw events respectively. Trevia broke the 15m barrier for the first time in her career on her second attempt, with a 15.31m (50’2¾”) effort. Tynelle was second with 14.57m (47’9¾”). Tynelle won the Weight Throw with a twirl of 20.49m (67’2¾”). Trevia added half inch on to her personal best in placing third with a mark of 19.71m (64’8”). Kala Penn of ASA College, Miami, made her season’s debut and won the Long Jump at the Samford Invitational in Birmingham, Alabams, with a leap of 5.67m (18’7¼”) on her second attempt. She also qualified for the National Jr. College Championships in the process. Penn, a sophomore, was sixth in the 60m dash in 7.73 seconds. She won her 200m heat in 25.59 seconds, which was 16th overall. 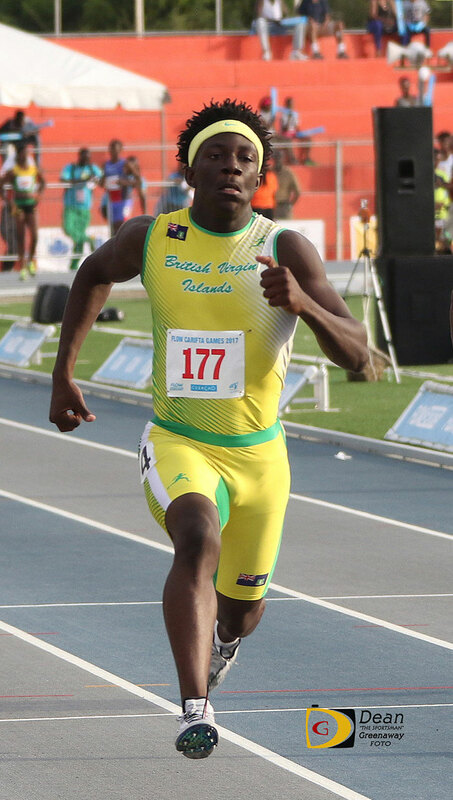 Teammate Ronique Todman opened his season with second place heat finishes in both the 400 and 200m respectively. The Sophomore ran his 400m in 49.60 seconds and was 10th overall while he was 11th in the 200m, after running 22.25 seconds. He helped his 4x400m team to a time of 3 minutes 25.24 seconds, good for seventh place. Four homebased athletes joined two others states side, competing in the Boston University Dave Hemery Valentine Invitational. Beyonce DeFreitas won the Women’s Invitational 60m dash with a time of 7.45 seconds. She also had the fastest time in the prelims of 7.55. She placed third in her 200m heat with a time of 24.23 seconds, which was good for sixth overall. Arianna Hayde turned in a time of 8.19. Hayde’s Long Jump leap of 5.53m (18’1¾”) on her second attempt after fouling her first, was good for ninth overall. She recorded a 27.45 seconds time in her 200m section. Akrissa Eristhee ran 57.03 seconds in her 400m heat and 26.01 for fifth in her 200m heat. In her first 60m Hurdles race since 2016 after injuring her leg and was knocked out of the Carifta Games in Grenada, Deya Erickson ran 8.93 seconds to finish third in her heat of the Women’s Invitational 60m Hurdles and advance to the finals. Her 8.98 time was good for seventh place in the final. She ran 26.95 seconds to finish fifth in her 200m heat. Former College of the Sequoias quarter miler Tarika “Tinker Bell” Moses, was fifth overall in the 500m, after placing fourth in her heat with a time of 1 minute 15.07 seconds. Moses, DeFreitas, Eristhee and Hayde combined on the 1600m Relay for a time of 3 minutes 53.42 seconds. They were fourth in their heat and placed eleventh overall in the standings. On Saturday, Shaquoy Stephens—a Kansas State Student but not competing for the school—was fourth in the 60m dash in 6.81 seconds. Stephens advanced to the final following a second place prelims finish in 6.83. At the Tyson Invitational in Arkansas, the BVI’s Ashley Kelly was third in her 400m heat and seventh overall in a season’s best of 54.17 seconds. Elsewhere, Tarique Moses was third in his heat and fifth overall at the Don Kirby Invitational 600m in New Mexico. The BVI native and Central Arizona College Sophomore finished .2 off his personal best established last week, with a time of 1 minute, 21.65 seconds. 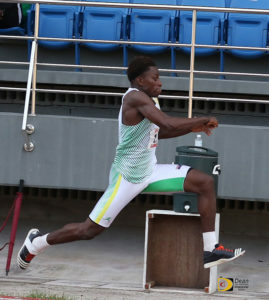 He led off his team’s 4x400m relay which won its heat in 3 minutes and 16.00 seconds, the seventh best mark in the competition. In Canada, Tahesia Harrigan-Scott equaled her 60m season’s best of 7.43 seconds at the Montreal Grand Prix on Saturday. The BVI veteran was sixth. She ran 7.47 to advance to the final.